Hollywood Gothique is having a hard time picking a Halloween Haunt Award Winner in this category. It's not that these theme parks failed to entertain us, but with the four same candidates appearing every year, we prefer to honor a nominee that offered major additions/changes/improvements - preferably enough to quality as something "new." Unfortunately, the majority of this year's Halloween theme park attractions were holdovers. Queen Mary Dark Harbor seemed becalmed, making little progress, maybe even drifting backward. There was a new "4-D Experience" called Panic (a 3-D film with in-theatre effects) and a new maze (Intrepid). Panic was fun, and Intrepid was not bad, but it was not as good as the maze it replaced (Voodoo Village). Meanwhile, the Soulmate maze was downgraded from its previous versions, and the Hex Paintball Gallery was worse than the Anubis Paintball Adventure from Halloween 2015. The only must-see attraction was Lullaby, starring Scary Mary, our favorite Halloween monster this year. Halloween Horror Nights at Universal Studios Hollywood (last year's winner in this category) gave us two great walk-through attractions, The Exorcist and The Walking Dead, and a great scare zone (The Purge: Gauntlet of Fear) Unfortunately, it also offered up "new" mazes that recycled old material (Freddy Vs. Jason, Texas Chainsaw Massacre, Halloween). More problematic was the ridiculous overcrowding that made a general admission ticket into a de facto limited access pass. If you wanted to see everything without shelling out the bucks for a front-of-the-line ticket, you had to be lucky enough to attend on a slow night. When you purchase a ticket, it shouldn't be a gamble; you should get what you pay for - the entire park, not just a fraction - regardless of what night you attend. Knotts Berry Farm Halloween Haunt topped this category in 2014. Since then, it has added a quartet of mazes (Dead of Winter, Shadowlands, The Red Barn, Paranormal Inc.) and a quartet of Skeleton Key Rooms (Zozo, Prey, Slasher, Visions). 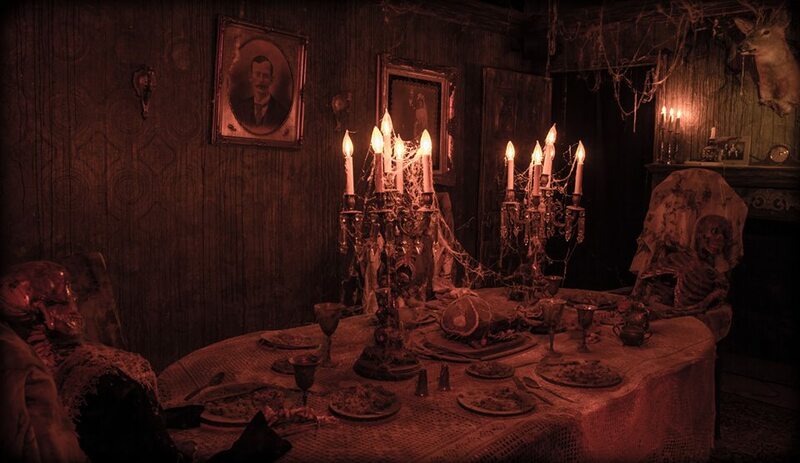 And at least for opening weekend, it added a great virtual-reality simulation called FearVR, which offered the most innovative thrills we experienced all Halloween, but then it shuttered the attraction due to complaints about its portrayal of the mentally ill, denying the majority of haunt-seekers the opportunity to enjoy it. Six Flags Magic Mountain Fright Fest continued its climb up the competitive ladder, offering another Halloween of mazes and fun that showed the park respectably standing shoulder-to-shoulder with the other nominees in this category. The returning attractions (Willoughby's Resurrected, Red's Revenge, etc) made Fright Fest worth checking out once again, but Magic Mountain added only one new maze (Aftermath 2 - a sequel) and one new scare zone (Suicide Squad). Aftermath 2 was one of our favorite walk-throughs of 2016, but is that enough to warrant a win as 2016's Best Halloween Theme Park in Los Angeles? Let's make this (uncharacteristically) brief. Knotts Scary Farm was the most enjoyable Halloween theme park we visited this year. 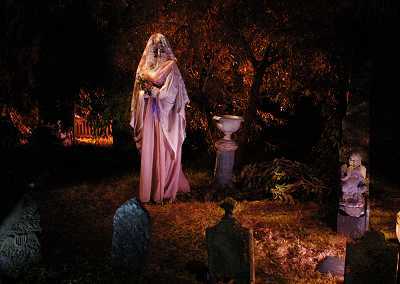 However, by throwing its star attraction into the trash after a single weekend, the Halloween Haunt removed the major asset that had qualified it for the top honor in this category. 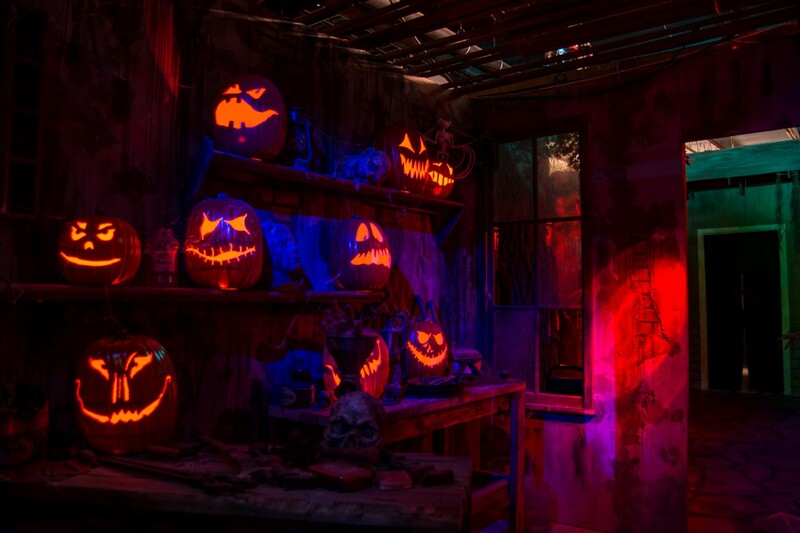 Halloween Horror Nights could have been a good runner-up replacement pick, but we cannot in good conscience hand the award to a haunt that puts its bottom line above customer satisfaction. As mentioned above, neither Dark Harbor nor Fright Fest offered enough new attractions and/or improvements to earn the win.